Experience your deepest healing potential and feel youthful, vibrant, and energized again! Do you feel tired all the time, no matter how much you sleep? Many people walk through our door frustrated with conventional medical approaches that have not been able to treat what are called “the Big Five”- feeling tired, fatty, depressed, stressed out, experiencing digestive issues or reflux, and male or female hormonal issues. Deep inside you know that something is just not right. Nathalie Trees, LAc. uses lab based health programs along with lifestyle changes to uncover the hidden causes to help you reverse the Big Five. Together we can naturally repair your three main physiological systems that keep you healthy so you can move forward in your life. The presence of wellness is far more important than the absence of disease. Wellness is your ability to have the energy, passion and creativity to create a life of purpose and meaning. I would be honored to help you and your loved ones along the path of creating vibrant health! Nathalie Trees, L.Ac. is a wellness specialist trained in Acupuncture and Functional Medicine. 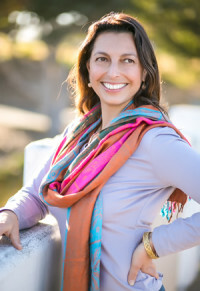 Her passion is finding natural solutions to help frustrated men and women increase their vitality, feel more passionate, and facilitate self knowledge that will last a lifetime. I use a step-by-step approach to properly diagnose, evaluate and create natural solutions to support your wellness goals. Start your journey to vibrant health by scheduling a free 15 minute consult in person or over the phone. What are you waiting for?